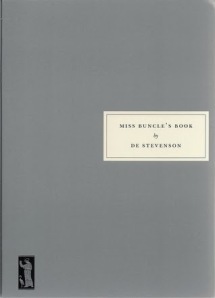 How delighted I was to find Miss Buncle’s Book by D. E. Stevenson as a Free Book Friday selection offered by Barnes and Noble. 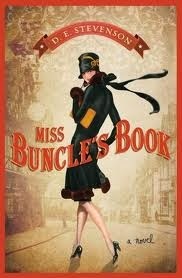 I first heard of this Miss Buncle’s Book on Persephone’s site. But, now there is the capability of ordering it today only, for free, on your Nook. It promises to be a good weekend ahead, if book presents are already coming in. Yay! I never seem to get in on these — and I've been wanting to read this. Thank you!! It's free for the Kindle too! Yippie! Just jumping back on to say I got it. Even though I've had my nook for three years this is the first time I've “bought” a book from BN–so nice that it was this one, and extra nice that it came to me because of you. Audrey, perhaps you already know, but every Friday there is a free book for your nook. I've been pleasantly surprised quite a few times, although all fall the selections seem to have been of a vampire/love/teen fantasy kind of thing. This was a great surprise to find this morning! So glad you have it, too. And thank you for your kind words. As always. Thanks, Kailana. It's been so good to hear from you lately, and I'm meaning to get over to you soon. Promise! Thank you for posting. I don't check the free Nook books as often as I used to. Bellezza, thanks for sharing this with your readers! Thank you, Bellezza! It's also free for kindle on amazon today. I have a paperback copy, but downloaded it for my mother. GAH! I missed it! I must remember to check every Friday.